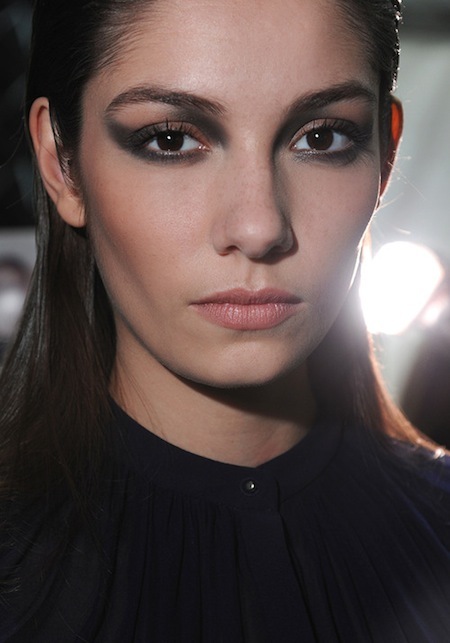 Elie Saab's Fall 2013 Collection was glamorous. 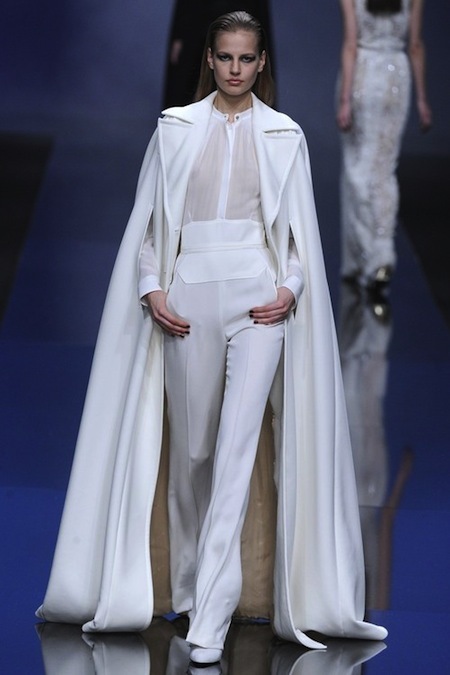 The collection consisted of day wear, evening wear and gowns in a monochromatic color palette. The color palette and textures used were beautiful with a pop of yellow for contrast. 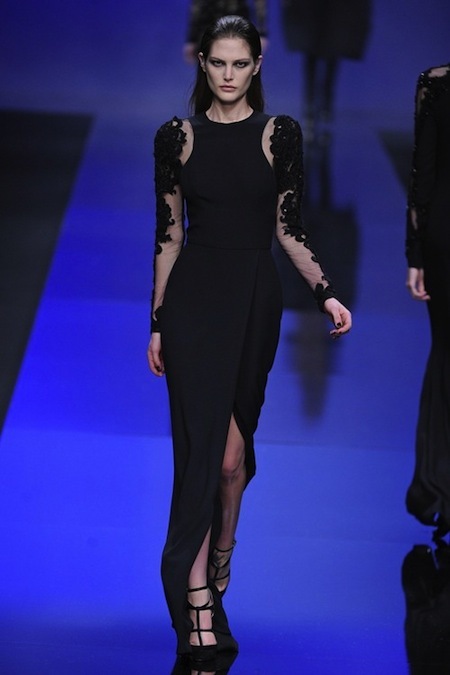 I've always been a fan of anything lace or sheer and Elie Saab knows how to work with a woman's silhouette.